Situated on an estuary of the Rio de la Plata River, Buenos Aires is the center of commerce, arts, politics, and culture in Argentina. Buenos Aires contains all kinds of unique attractions, including massive parks, extravagant government buildings, and impressive museums. It is one of the top tourist destinations in Latin America. Known locally as the Jardin Botanico, these lovely gardens are home to many different kinds of plants. The 17-acre garden contains more than 1,500 species of plants from Asia, Europe, Africa, Oceania, and America. There is also a special area filled with plants from different Argentine provinces. The plants are cared for in five different greenhouses, which are also used as research centers by local conservationists. 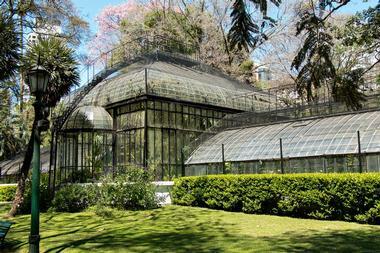 The Buenos Aires Botanical Gardens are open year round to the public. 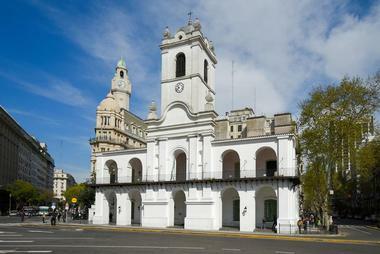 The Buenos Aires Cabildo is a unique museum that got its start in the 1930s. The Cabildo was once dilapidated and forgotten, but under the direction of Carlos A. Pueyrredon, the building was redone in 1940. Today, the building is home to a museum filled with Argentine artifacts and history, with the story of the country told through both permanent and temporary exhibits. The museum is open to the public, and guided tours in English are available upon request. Admission is free for all. 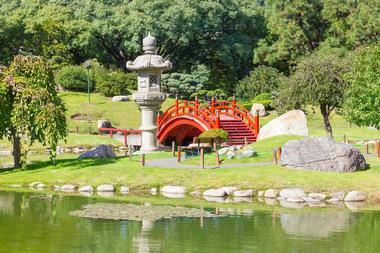 The Buenos Aires Japanese Gardens are popular among locals and visitors who want to escape the hustle and bustle of the city. Crafted to look like an authentic Japanese garden, this outdoor space is filled with manicured hedges, low bridges, fountains, pagodas, lily pad-filled ponds, and walkways lined with blossom trees. The garden has the unique distinction of being the largest Japanese garden outside of Japan. Cultural performances and festivals are held throughout the year at this peaceful public park. 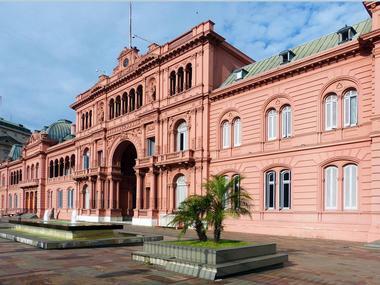 Casa Rosada is hard to miss with its pink facade and palace-like exterior. As one of the main government buildings in Buenos Aires, Casa Rosada is akin to the White House with its many rooms and ornate decorations. The building is closely guarded and off limits to the public during the week, but on weekends visitors can walk through on a free guided tour. Highlights include seeing the president’s office, walking through the Bicentennial Hall for Argentine Women, and stepping outside onto the presidential balcony. Centro Cultural Recoleta, known simply as the Recoleta, is a creative space in the heart of Buenos Aires. Devoted to promoting Argentine culture and fostering creativity, the Recoleta is a mix of a performance hall, a coworking space, and a school. The center holds presentations and performances on a near-daily basis. Visual arts, dance, music, theater, literature, and cinema are all showcased in this unique space. 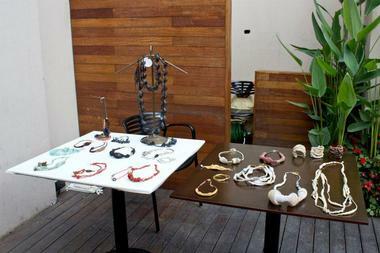 The Recoleta also holds all kinds of creative classes and workshops for teens and adults. Known for being one of the most ecologically diverse areas in Buenos Aires, the Costanera Sur Ecological Reserve has protected native species near the city for more than 30 years. 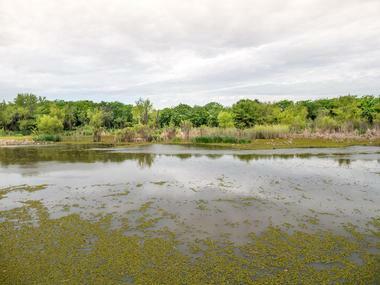 All kinds of flora and fauna are tucked into this 860-acre space. Although the reserve is surrounded by skyscrapers and busy city roads, the reserve itself is a sprawling green space that is bounded by a river on its eastern side. Visitors are free to explore the reserve on foot or by bike. Once an incredible theater, El Ateneo Grand Splendid was converted into a bookstore in the early 2000s. The palatial building, which today houses thousands of books, has undergone many transformations since it was built in 1919. In 1929, the theater became a cinema, and visitors flocked from around the city to see the latest silent films. It remained a theater for many years until 2000, when the building was nearly torn down because of economic problems. Today El Ateneo Grand Splendid is a popular spot for bookworms and travelers. 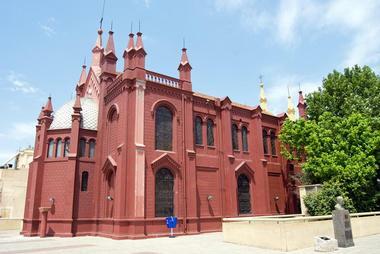 El Zanjon de Granados is another unique museum in downtown Buenos Aires. Housed in a 200-year-old mansion, this museum is known best for its large network of underground tunnels. The tunnels and the mansion were carefully restored over a 17-year period by Jorge Eckstein, an amateur historian and chemical engineer. While excavating the area, crews found French tiles, African pipes, English china, and other rare objects. Today, visitors can take a 1-hour guided tour of this unique old mansion. 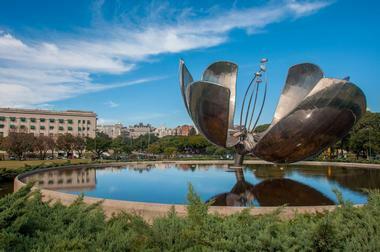 Floralis Generica is a modern art exhibit in downtown Buenos Aires that comes to life every day at sunrise and sunset. This giant metal flower was built in 2002 next to the National Museum of Fine Art, and every morning and evening the metal petals of the flower slowly open and close in response to sunlight, just like a flower in the wild. When the petals are completely extended Floralis Generica stands more than 75 feet tall and 100 feet wide. At night, after the petals have closed, the flower glows red over a reflecting pool. Galerias Pacifico is a large shopping mall in downtown Buenos Aires. The mall was designated a national public monument because of its ornate exterior and the impressive murals it houses alongside its shops. With more than 150 stores and stands and close to 20 different restaurants, the mall receives almost 900,000 local and foreign visitors every month. Beyond being a popular destination for shopping, visitors enjoy coming to Galerias Pacifico to see the range of unique murals painted by five talented 20th century painters. 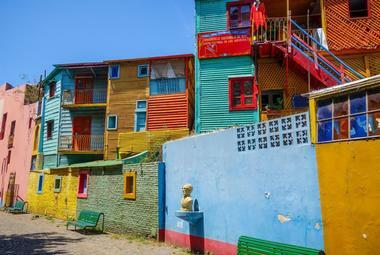 La Boca draws crowds of travelers because of its proximity to two iconic spots in Buenos Aires: The soccer stadium La Bombonera and Caminito, also known as the artist’s street. 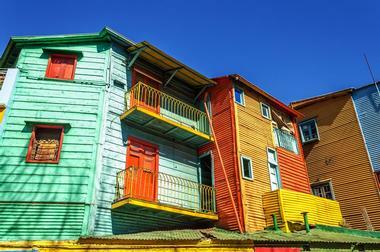 La boca means “the mouth” in English, and the area earned its name as it sits at the mouth of the Riachuelo River. At La Boca, travelers can register for tours of La Bombonera, walk along the artist’s street, or visit Fundacion Proa, a nearby modern art museum. 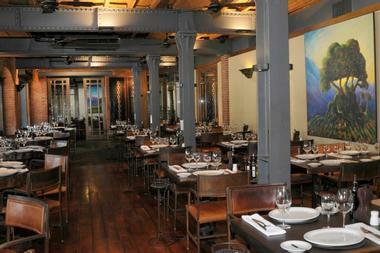 La Boca also has a handful of authentic restaurants and eateries. 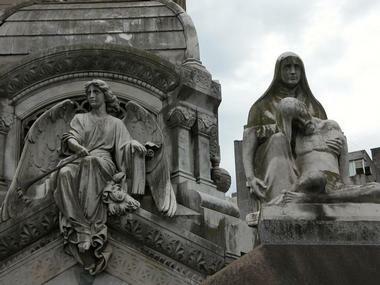 This cemetery in Buenos Aires is the final resting place of many well-known Argentinians. Several presidents, scientists, and prominent business people have been buried in this urban cemetery. One of the most famous people buried here is Eva Peron, an actress and suffragette who became a legendary figure in Argentinian politics. Recoleta Cemetery also holds the remains of Rufina Cambaceres, a young girl who was allegedly buried alive. The cemetery is open to the public year round. 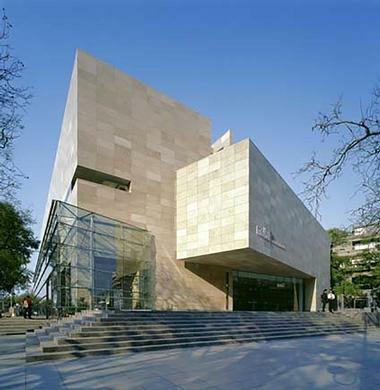 MALBA is another center for culture and performance in downtown Buenos Aires. This museum contains cinema, literature, and art from Argentina and beyond. 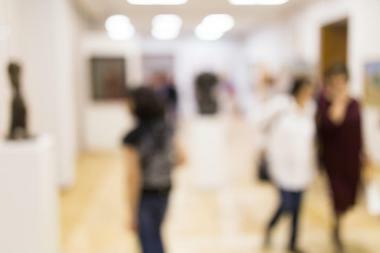 There are multiple permanent and temporary exhibits that visitors can explore at the museum, and MALBA also holds workshops and other events to get the public engaged with conservation and history. There is also a museum shop onsite, where visitors can buy souvenirs and educational materials. MALBA is open several days a week for guided tours. The National Museum of Fine Arts of Argentina has an impressive collection of Argentine art, European art, and other unique finds from around the world. With a collection of more than 12,000 artifacts, this museum has the largest public set of art in Latin America. The museum boasts 24 exhibition halls with works from artists such as Van Gogh, Picasso, Degas and other masters. 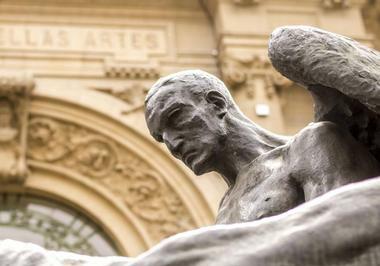 The Museo Nacional de Bellas Artes is also known for its knowledgeable and helpful staff and volunteers. 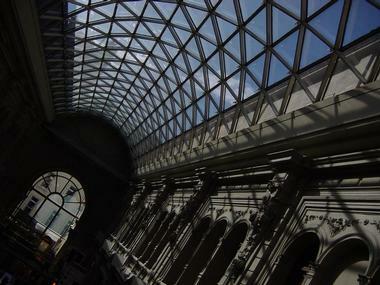 Admission to the National Museum is always free for locals and visitors alike. The National Museum of Decorative Arts is housed in an ornate building designed by Rene Sergent, a French architect known for his skill and attention to detail. The museum consists of several impressive rooms, including The Great Hall, the largest room in the residence, the Ballroom, a luxurious baroque-style meeting room, and the Winter Garden, a beautiful passageway that links the dining room and ballroom. The museum contains all kinds of artifacts from Argentina’s best artists. There is a large collection of permanent and traveling exhibits and the museum regularly holds special events to connect with the community. 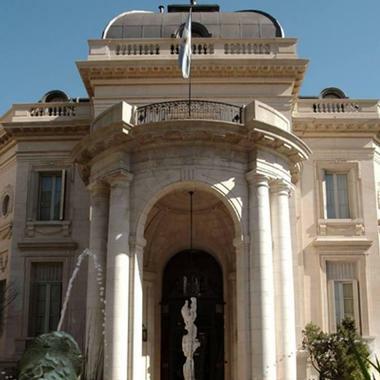 Palacio Barolo serves as a physical representation of Dante Allighieri’s Divine Comedy. Designed by cotton tycoon Luis Barolo and architect Mario Palanti, this ornate palace was supposed to be the final resting place for Dante’s ashes. Barolo believed that Europe was headed toward an economic and cultural collapse, and he wanted a safe place for Dante’s memory to live on after death. The 22-floor building is modeled after the Divine Comedy: Each floor represents one stanza from the classic text and visitors pass through hell, purgatory, and heaven as they travel to the top floor. Palacio Barolo is open to the public. Parque Tres de Febrero is the largest park in Buenos Aires. The rose garden within the park is its most impressive feature: More than 8,000 roses and 93 different rose species are showcased throughout the area. Parque Tres de Febrero also contains sculptures of famous artists and influencers, including Dante Allighieri and Jorge Luis Borges. The park opened in 1875 and continues to be a popular gathering place for locals as well as visitors. There is plenty of space for relaxing, walking, biking, rollerblading, and other fun activities. Known as the most famous public square in Argentina, Plaza de Mayo serves as an economic, social, cultural, and financial icon. 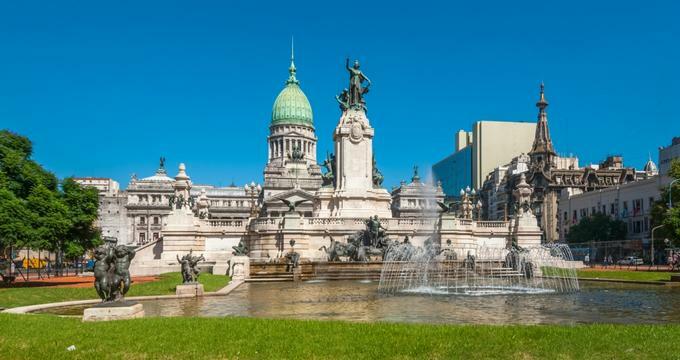 The square is surrounded by some of the most notable buildings in Buenos Aires, including the Cabildo, the Buenos Aires Metropolitan Cathedral, and the government house, Casa Rosada. Some of the most famous events in Argentina’s history, including a demonstration to advocate the release of politician Juan Domingo Peron, took place here. The square is used frequently for large demonstrations and public gatherings. 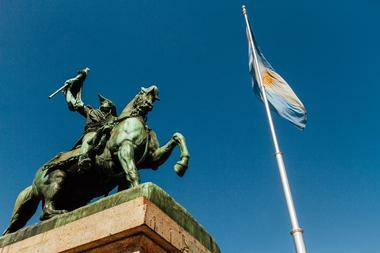 Plaza de Mayo is a must-see spot for visitors to Buenos Aires. 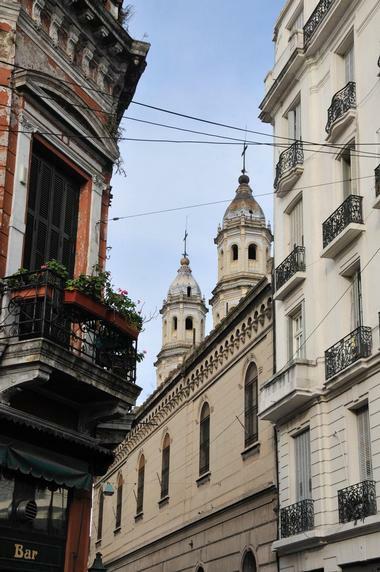 Plaza Dorrego was once the focal point of San Telmo, the main residential neighborhood in Buenos Aires. Today, the plaza remains as a popular gathering place and is commonly used for fairs, performances, and other special events. 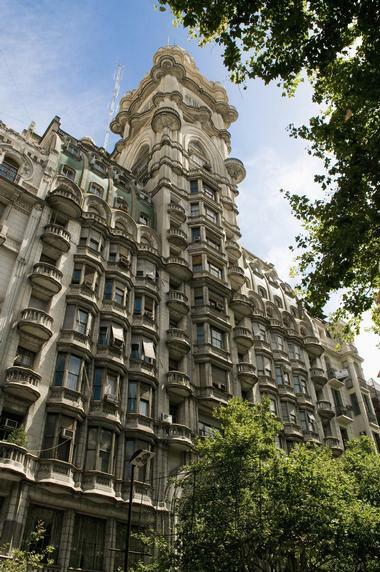 Spending a Sunday at the plaza is an excellent way to get a taste of Buenos Aires’ lively culture. Around 8,000 people gather in the square each Sunday to shop, eat, socialize, relax and sightsee. There is also a Sunday market that features close to 300 vendors, who sell everything from antiques to authentic Argentine souvenirs. Located in the restored historic red brick warehouse in the Puerto Madero docklands in the Argentinian capital Buenos Aires, Cabaña Las Lilas is an upscale steak restaurant offering a range of first-class beef from their own estancias. The romantic waterfront location and comfortable furniture attract hordes of tourists, who come to taste the world-famous Argentinian beef – Angus, Brahman, Hereford, and much more – made into succulent ojo de bife and bife de lomo (rib eye and sirloin) prepared to perfection. Follow the incredible meal with local wines from a very large, well-chosen list and small, delicious desserts. After the meal, enjoy a stroll along the docks in the revitalized neighborhood and soak up the atmosphere. 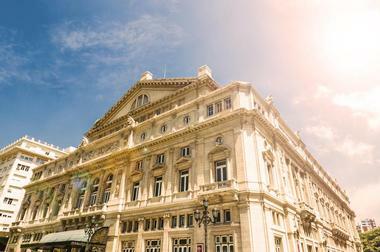 As the main opera house in Buenos Aires, Teatro Colon plays an important role in the arts, entertainment and culture of Argentina’s capital city. This impressive building has also been ranked the third best opera house in the world by National Geographic and it is renowned worldwide for its incredible acoustics. Teatro Colon underwent a major refurbishment from 2006 to 2010, and highlights of the recently remodeled opera house include seating for close to 2,500 people, a massive chandelier with 700 light bulbs, and a beautiful facade that is lit up every evening. Manzana de las Luces was once home to Argentina’s first national library and also served as a college and county legislature seat. Today, the complex is mainly known for being a linkage point in Buenos Aires’ underground tunnel system. The tunnels beneath the city have baffled experts for years. 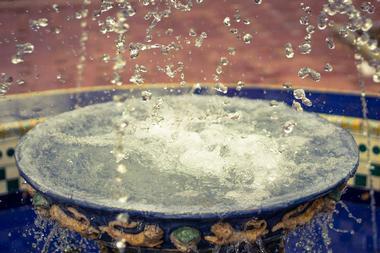 Engineers first discovered them in the mid-1800s, but little is known about their purpose, even today. 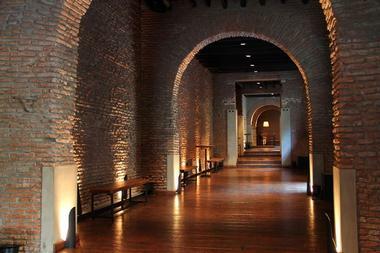 A popular theory states that the tunnels are the remnants of an incomplete attempt by Jesuit priests to connect important buildings throughout the city. Some people speculate that many other tunnels lie undiscovered beneath Buenos Aires. This quirky museum holds all kinds of artifacts from Xul Solar, an Argentine who was born in 1887. Originally known by a different name, Xul Solar changed his name to reflect his interest in all things mystical. The museum contains his paintings, which are filled with symbolism and cryptic messages. 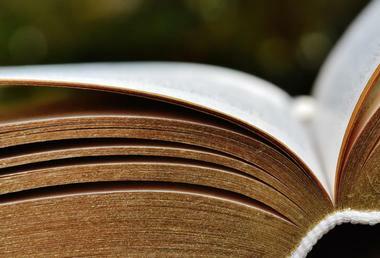 Solar also created his own universal language and published several texts in this new tongue. He built a modified piano, created new games, and conjured up different versions of utopia based on his beliefs. The museum stands as a tribute to his eclectic life. Known in English as “woman’s bridge”, Puente de la Mujer is a rotating footbridge in the commercial district of Buenos Aires. The bridge is noteworthy because of its design, which allows part of the bridge to rotate 90 degrees so that watercraft can easily pass beneath. Completed in 2001 by architect Santiago Calatrava, the bridge’s design was inspired by the shape of a couple dancing the tango. 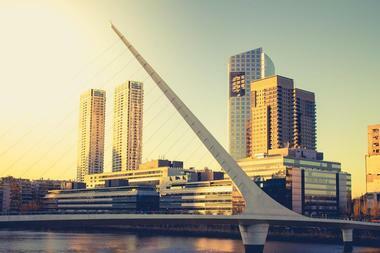 The Puente de la Mujer is accessible from Dock 3 in Puerto Madero. Born to a wealthy family, Rufina Cambaceres was a popular socialite at age 19. One day she collapsed unexpectedly while getting ready to attend a show. Three doctors were called in to assess her condition, and each doctor proclaimed her to be dead due to a heart attack. A funeral was held for the young woman and she was placed in mausoleum. However, days after her death, a cemetery worker discovered that Rufina’s coffin had moved and had been broken in several places. The worker was horrified to find scratch marks on the inside of the coffin. The truthfulness of this story is up for debate, but visitors can see Rufina’s extravagant tomb, built by her mother as a solemn tribute, at the Recoleta Cemetery.